Organised by the PIBG with the support of the School and the Alumni, this is a self-help event to raise funds for a worthy cause. The proceeds will be channeled to offer better facilities for the students and for the maintenance of the School Building. Join us for a fun charity 6.5 km healthy morning walk in and around scenic Ipoh. Savor the nostalgic “Tuck Shop” or “Canteen” food. Relive the sweet memories of the good old school days. So, gather your friends, come with your family…let’s paint the town “red”!…ooppss, sorry…”blue” (the color of our T-shirts). Kindly make payment before you submit this online registration form. Please Whatsapp/Viber/Wechat a copy of your transaction payment slip to (60)12 521 5611 or email the slip to ipohacsalumni@gmail.com. Saturday, 4 March 2017 Join us for an evening of good friends, good food, GREAT times at the Oriental Pavilion, Jaya 33, Petaling Jaya. A Musical Concert “MUSIC, WE THANK YOU” will be coming live to you at 8:00 p.m. on Friday, August 5 2016 @ the Grand Ballroom, Weil Hotel (one night before the Alumni Dinner). Warning:- Be prepared for an astounding evening of chills and goosebumps as the extraordinarily talented performers take you through Mamma Mia! Evita, Miss Saigon, Les Miserables, Lion King, Aspects of Love and Whistle down the wind. Arranged and organised by Mr. Chin Yoong Kim, Ms Tan Kit Pheng and Ms Chin Mei Ling – the musical is a charity concert to raise funds for the MEALS Program for the needy students of the School, to showcase the talent of Ipoh and to uphold the stage tradition of our Alma Mater. The cast include Mr. Chai Lai Mun (an international renowned choreographer who appeared in many Broadway and West End productions in London), Ms Marianne Poh, Mr. Eddy Chin & his son Leonard Chin, Mr. Paul Seow, Ms Tan Kit Pheng, Ms Chin Mei Leng and many, many more, including singers from the Perak Society of Performing Arts (PSPA). Admission is priced at RM500, RM200 and RM100 each. 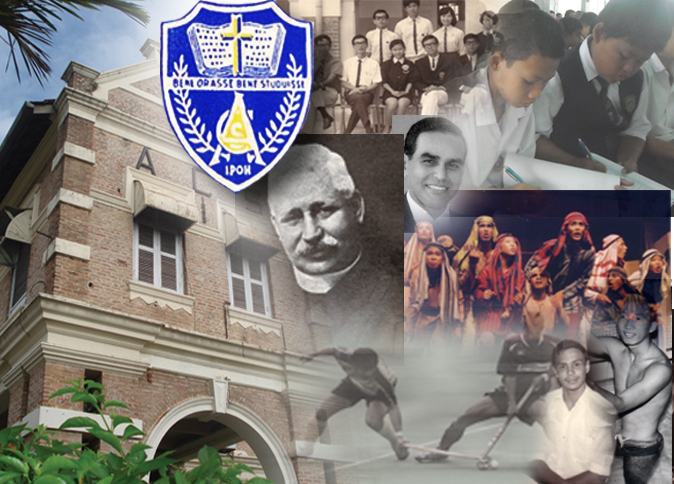 The annual Ipoh ACS ALUMNI DINNER 2016 is back! This time with more finesse…it will be an exquisite fine dining affair set amid the elegant Grand Ballroom of WEIL Hotel (next to Ipoh Parade). Yup, that’s what we are, lol. Come, get to know your Alumni Board (2014/16 EXCO). Seated L to R: Looi Teik Aun (Patron), Jennifer Ng Geok Bee (Secretary), Datuk Lean Meng Seong (President), Dato’ Dr. Sushil Kumar Ratti (Vice-President), Lee Weng Woh (Principal, ex-officio VP), Foo Nyuk Yong (Trustee) Standing L to R: Peter Lee Siew Choong (Chairman, KL & Klang Valley Chapter), Christine Choong Ying Hoong, Lau Wun Chew (Director, Membership), Tam Wing Kwong (Treasurer), Narayanan Raman, Chow Tuck Wah (Auditor), Chin Yoong Kim (Asst. Secretary), Adam Chow Chin Siew, Gong Wee Ning (Director, Foundation Project), Chooi Choong Yin (Auditor). Absent: Peter Lai Chan Fah (Asst. Treasurer), Dato’ Narayanan Kanan (Auditor), Robert Tan (Acting Primary School Head). We are introducing a new feature. Old Salts have been invited to share their experiences in different parts of the world where they have lived and worked. We hope that others will come forward to share their experiences too. Your writings will not only inspire the present students but also those Old Boys who have yet to reach their career peaks.